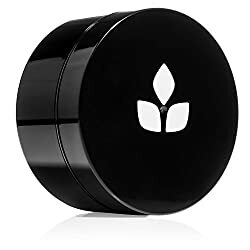 17 Best Smell-Proof Containers & Bags for Weed Review in 2019! If you do not have a reliable container to keep tea, coffee, spices, and tobacco for a long time without losing their unique and rich smell and flavor, then you will definitely find a good container here. We discovered 17 zipper storage bags, jars, and containers that provide a high-level security for dry food like nuts, your favorite coffee, and tobacco. All the below-mentioned items do not contain any chemicals and will keep your goods fresh for more than 6 months. Take a look at those 17 smart and reliable containers and keep your food, spices, tobacco and even creams fresher for longer. 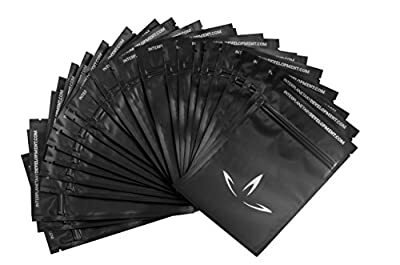 There are perfect smell proof bags that resist tears and moisture. A special heavy zipper on each bag keeps odors locked inside. The bags are impulse and food saver sealable for an added layer of protection. Each bag can hold a volume of 6 fluid ounces. 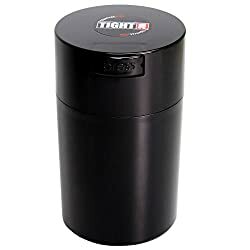 This affordable and convenient airtight multi-use vacuum seal portable storage container for dry goods, good, and herbs and cannabis is an irreplaceble item on every kitchen. The container can hold up to 6 oz of coffee, tea or trail mix, 16 oz C & H Sugar , and 1 oz of medical herbs. You can use it in your kitchen as well as take with you during a travel. Your goods will be saved for longer and will not lose its flavor and smell. Affordable price, mini size for travels. Not roomy. This good looking jar is made of 100% natural bamboo. 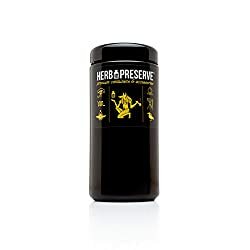 The container has got an airtight double layered seal that will security protect herbs, spices, tea or coffee from moist and air to keep their flavor. The container is light and durable. You can keep it at home or take during travels. Perfect for herbs, coffee, tea, spices, and tobacco. Nice gift idea, lightweight, can be taken during travels, low price. Holds only half ounce. 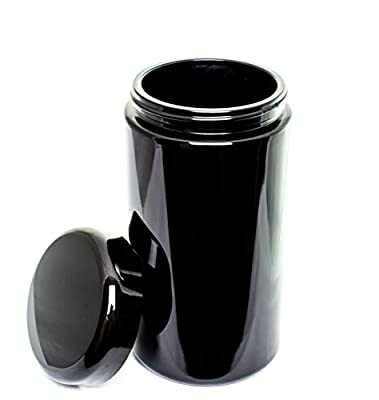 This is perfect smell proof container with double layered protection with two lids traps. The container blocks UV and saves your herbs, tea or spices from losing a flavor and smell. The container holds up to 20 grams of herbs or tobacco and protects them even if you drop it due to a high grade plastic. This container will not leak after a few uses and will save the best flavor and smell of your favorite tea or coffee. Affordable price, highly protected seal. Holds only 20 grams. 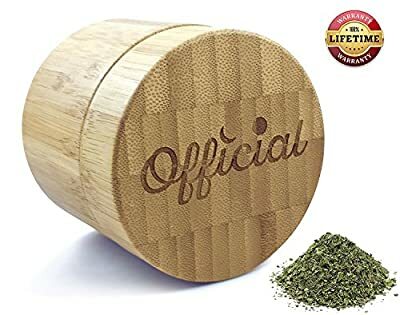 This super durable container has a simple design, however, it offers you to store up to 100 grams of tea, coffee, spices, tobacco or dry food. The container comes with a small suede bag for accessories. A gel seal provides good protection for what you store in a jar. The container also provides secure protection from damaging visible light. Big capacity, affordable price. No. This is one of the best containers because it holds up to 250 ml. It is made of ultralight and discrete reinforced smell proof glass. 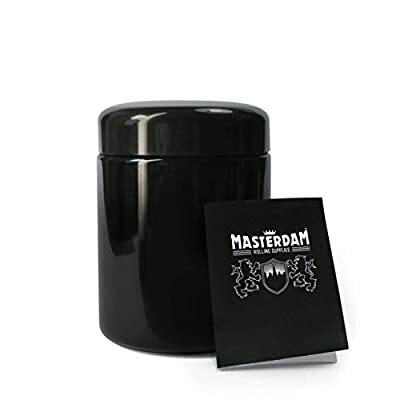 From now on you can keep your tobacco, coffee tea, and herb and cannabis odors sealed inside. 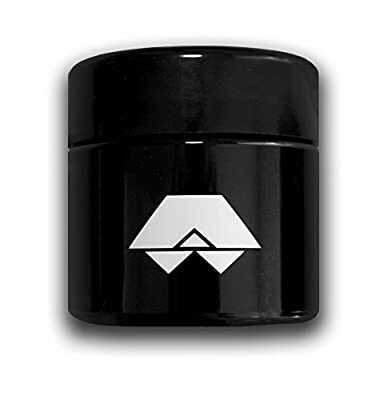 The container comes with a mini stash can. The container was laboratory tested, BPA free glass jar has a medical grade air tight lid that will not crack under pressure. Keep t at home, in your office, or in a car. Necessary item for every kitchen, big capacity, affordable price, an additional stash can. No. This very container is made of laboratory tested and discreet ultraviolet glass that preserves and rejuvenates freshness of plant-based goods, herbs, spices for more than 6 months. The glass blocks light rays and keeps your spices or coffee full of flavor and smell. A special airtight seal blocks unwanted air exchange. You can buy 1, 3 or 10 stash jars and spread your coffee, tea, and spices and keep them protected from damage. 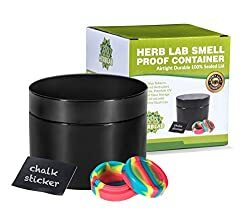 Perfect solution for your herbs, tobacco and cannabis storage, convenient size. No. This good-looking storage case will look good in any kitchen. You also can take it to work or during travels, it is lightweight. 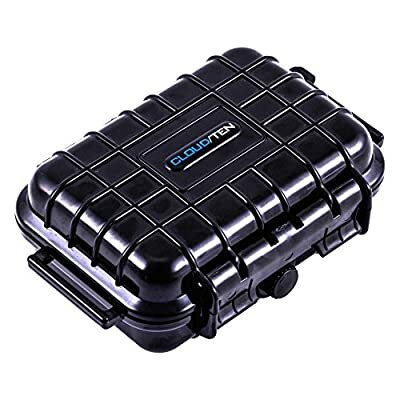 The case does not take much space and offers a high protection of what you store in it. 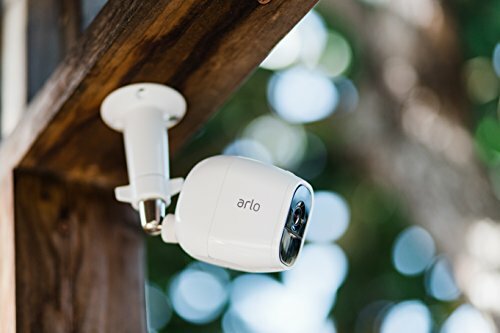 It is made of high-quality aerospace grade aluminum and has got an airtight seal. 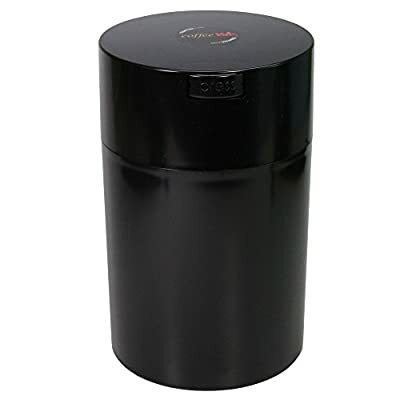 The container will protect your tobacco, coffee or tea when falls down. Very convenient container to take to work or when travel. Slightly expensive. This simply designed glass jar holds up to 200 ml and allows you to keep your favorite tea or coffee full of flavor and smell even after opening and closing it for several months. The container offers optimal protection against the harmful effects of light. You can put it in a travel back or even a purse. This container can also be used for wax, herbal and medicinal (weed) supplements, cosmetics, oils, gels, and creams. 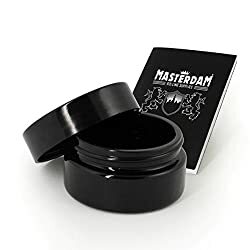 Masterdam is dedicated manufacturer of the highest quality products including rolling supplies, including our range of natural unbleached papers, grinders and storage solutions at fair prices. Perfect size, low price. No. The item has the same characteristics as the previous glass jar but this one takes up to 250 ml. 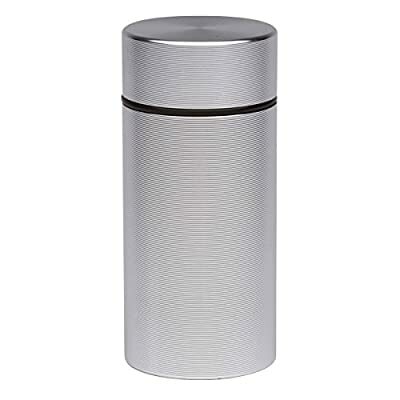 With this container, you will not have to worry that harmful sun rays will leave tea or coffee without a pleasant smell and flavor. The screw-top lid made of BPA-free heavy duty plastic seals in freshness and prevents odors from escaping. This is a great set that consists of 10 odor proof containers that you can keep at home, in your car, office and even a hand bag. Each container has got a highly protected seal that will not allow your favorite tea or tobacco smell escape. It is really easy to carry such container in a pocket and not worry about stuff pouring out. All 10 containers are made of made of super strong advanced reinforced polymer that is UV resistant. 10 small size containers, best for tobacco, low price. Only for small portions. If you look for a large container, this item is the best one. It is not that expensive and holds up to 500 ml. Store your tea, coffee, spices, and dry food like nuts and seeds without losing their smell and flavor even after a couple of months use. Heavy durable ultraviolet glass blocks air exchange and locks in aroma. 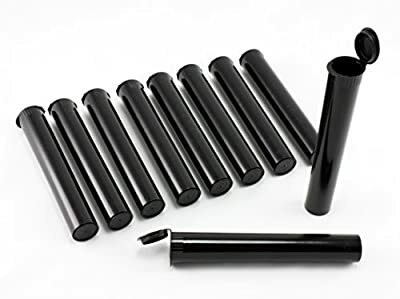 Special black glass blocks UV and infrared wavelengths of light that can kill molds, algae, and bacteria. The best deal, protection from light and bacteria. No. This nice container will suit any kitchen interior design. It holds up to 1 lb and protects your food from air and moist. The container promises to keep your favorite coffee or tea flavor even after a couple of months use. You can keep it at home or at work. Also, you can store dry food like nuts and take it for picnic. With this container, your food, tea, or coffee will be fresher for longer. Large capacity, affordable price, a big variety of colors. No. 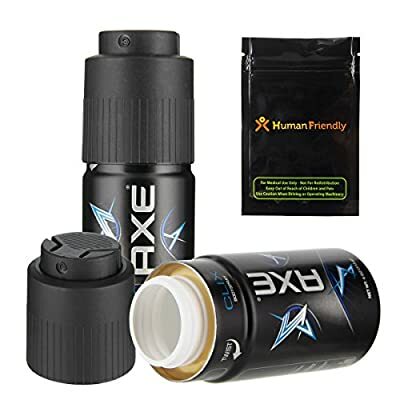 This is a smart diversion stash can that is made of Axe body spray. 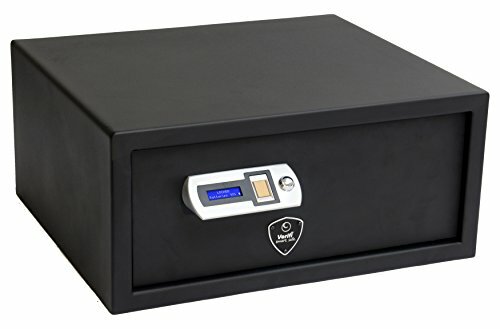 It is very discrete and can be hidden in a plain sight if you want to store tobacco. You can keep it t home, take to work, or keep in your backpack or even a handbag. 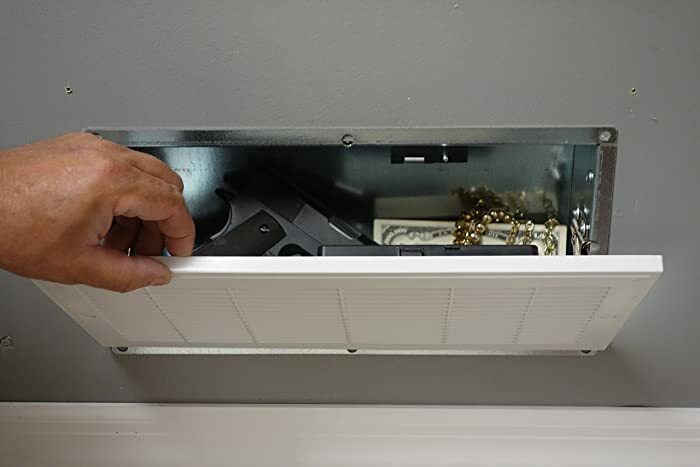 There is a smell-proof bag inside the can that will keep your valuables safe and secure. A perfect diversion safe, holds up to 4 oz. High price. The bag neutralizes odors due to an activated carbon technology. 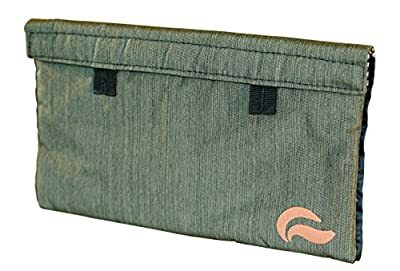 This smell-proof bag is made of velcro enclosure. When storing the bag with tea, coffee, or tobacco, an activated carbon technology traps odors inside and neutralizing it. Even your pets will not smell it. Th best odor protection. High price. 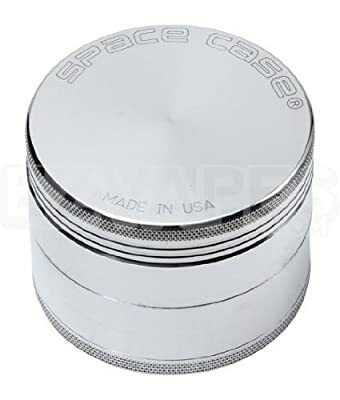 This low price portable metal jar is super durable, so you should not worry about what you store in it when you drop it. The jar will fit in a pocket and a handbag. You also can keep it in your car and use for tobacco or medicines. When storing at home, keep tea, coffee, and spices. The aluminum design with rubber seal keeps the smell inside and keeps the product fresh. The jar is protected from harmful and damaging light and UV rays. Low price, portable, and durble jar. Small capacity. Also, check a review of 25 best stash cans that fits any room. Choose a container that meets your requirements and suits your budget. Keep your favorite tea, coffee, and spices in a well-hidden can or jar that will protect it from sun rays and light, bacteria and will block the odor saving its best flavor and smell.